Pro Bowl tight end who made his NFL debut in 2006 for the Houston Texans. He spent eight years with the Texans before playing a season with the Baltimore Ravens, then signing with the Denver Broncos in 2015. He won Super Bowl 50 as a member of the Broncos. 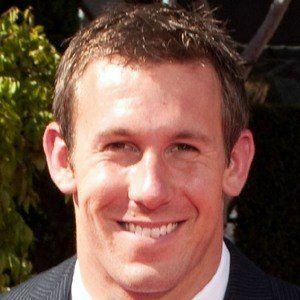 He played college football at the University of Wisconsin, where he began his career as a quarterback. He was named to the NFL All-Rookie team in 2006. He was born and raised in Naperville, Illinois. He was selected in the 4th round of the 2006 NFL draft, becoming part of a fantastic Texans' draft team that included Mario Williams.